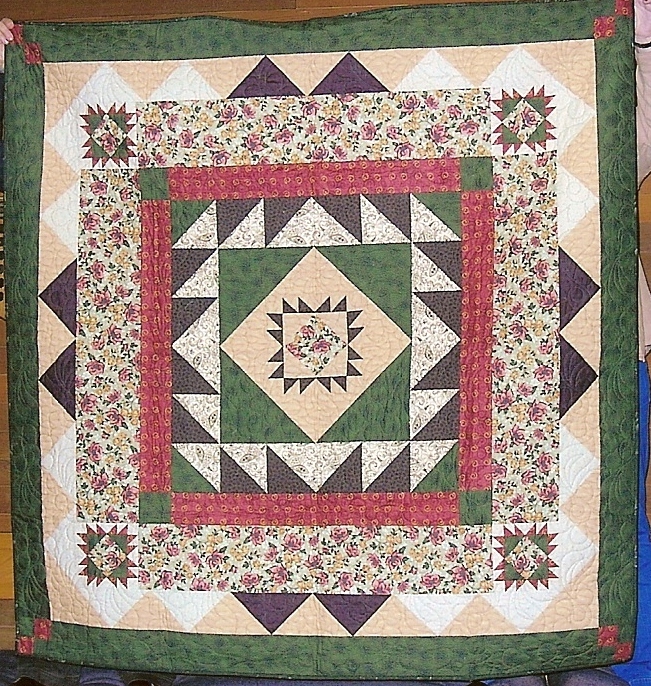 Each year in the fall there is a quilting retreat held at a summer camp. Yes, yes I know. The summer camp is rented out in the off season, that's how we have the retreat in the fall. Anyway, each year the teacher/quilt store owner who hosts the retreat chooses a theme for the retreat. In 2007 she chose a heritage theme. Little did we know what this would entail, but rather we were told to bring along what we thought was reproduction fabric. 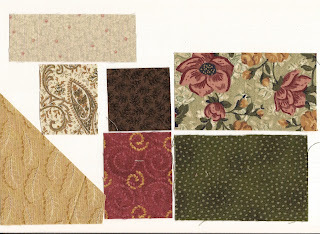 I had never worked with reproduction fabric so this is what I brought, except for the floral print. I borrowed that from Joyce at the retreat. I know better now. During the retreat we were shown samples of the styles of quilt that would have been produced during the 1800's; medallions, vertical row quilts and various individual blocks. 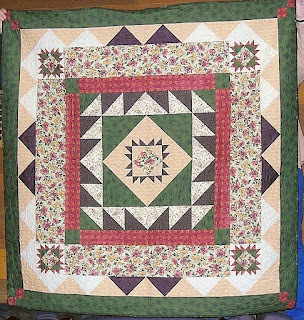 We were given a choice of pattern to piece, so I chose to do a medallion style quilt. 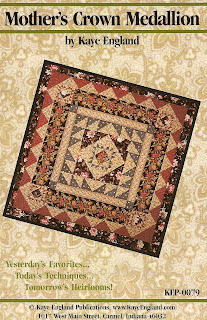 A medallion quilt begins with a central block and successive borders are added. Diane, the hostess had brought along some patterns that we could purchase. 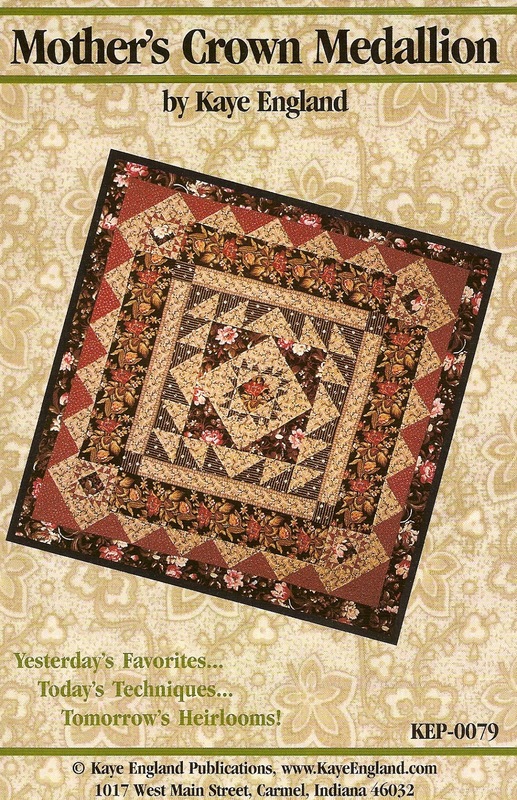 I spotted this one by Kaye England and decided that it would look okay in the fabric that I brought. 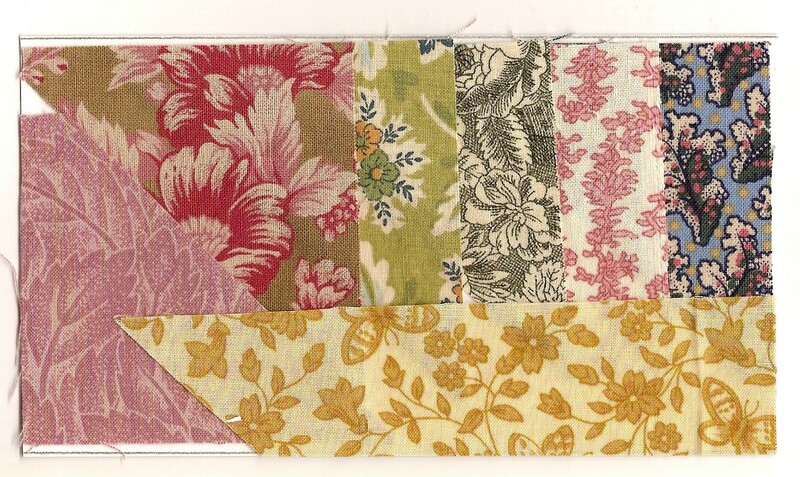 I pieced the central block, continued piecing the borders until it was almost finished. During the retreat we were then given an opportunity to share our signatures with our fellow retreaters. Each of us wrote our signature and the date on sufficient pieces of muslin to exchange with everyone. Then it was back to finishing off the medallion quilt. This is it here. What happened to the signature blocks you might ask. and the full picture of the quilt. 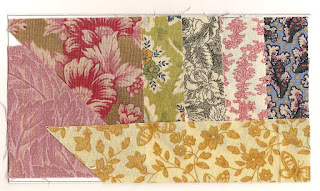 Lovely quilts, and your fabrics are wonderful choices for those styles! I love the way you arranged your blocks - great work! Both are wonderful quilts but I really like the second. It really has a traditional antique vibe for me. [url=http://www.canadagoosehommes.com]canada goose jacket[/url] Now let's consider a trend which has spread to innovators and some early adopters but has yet to sweep the majority: lace-up oxford shoes for women. HANSEN ENTERPRISES is committed to supplying bikers with communication devices and riding accessories. [url=http://www.salemulberryshop.co.uk]Mulberry Mitzy Bags[/url] I was just watching the Black in America 2 show and was noticing that the stuff and things being done were quite disturbing, yet at the same time thinking wow. Beats by Dr DreBeats by Dr. You should try them on several times before buying them and try to purchase your shoes much before the wedding..
best flight i ever had. [url=http://www.soldesgoosefr.com]Canada Goose Trillium Parka[/url] Updating graphic drivers is how to do this. [url=http://www.canadagoosehommes.com]canada goose jacket[/url] Because you are morbidly obese and may have medical conditions to consider, this is something to check out with your doctor. Praktiline eesmÃ¤rk vÃ¤ljendus see postitus on halva kvaliteediga. [url=http://www.salemulberryshop.co.uk]Mulberry uk[/url] They are probably about $30 a piece. For female people who Wear and tear Child's Shoe Styles also people as to who slip on and possibly smaller sized shoe sizes, like your child's designs, knowing a variety of choices will make affecting your pursuit of creative shoes that suit.. There are also cast bios and photos. Its chocolate brown, green, and aquamarine halter top has a refreshing and modern pattern. [url=http://www.soldesgoosefr.com]canada goose[/url] And these three are only the tip of a massive, sartorial iceberg.